situation, which is always neutral. It is as it is." How something is said is so important to the understanding of it. That is why repetition of a subject is important for better understanding in anything. He says an event, situation, circumstance is just what it is. It is neutral. It is not good or bad. There is no judgement in neutrality. It is when we enter the equation with our own thoughts that judgement comes in and we judge based on our own past training and experiences and beliefs and customs. In other words, WE CHOOSE how to judge this, and we normally judge it off center to the right or left, toward good or bad to varying degrees. We see a hurricane's effects and call it bad, a humanitarian's efforts and call it good, and so on. Yet, you will find so few thinking about it as neutral. And, this is one of the choices available to all. What if you could see things neutrally? The event would certainly have a different response in us if we thought about the event in a neutral way compared to judging it good or bad. There is a popular phrase, 'good, bad, or indifferent.' In this, one might think that being neutral is being indifferent. I know a lot of people think that when they encounter someone who is just observing the event with neutrality, but looking at a situation as it is and not reacting as so many do, is not at all being indifferent. Being indifferent is more a judgement, as if to say that one does not care, whereas neutrality is like being above it enough to see the whole picture and to just see it as it truly is rather than what we make it out to be. In Another Sense, It Is Like The Difference Between Responding And Reacting. Spread Some Joy Today--Try not reacting to some situation or event this week and instead just observe. Pretend it is a dream and you're watching your dream from on high and just seeing it play out without any judgement at all. Then just enjoy your moments. That is one way to joy. You can choose joy at any time you want. but serves no useful purpose." I cannot recall any instance in my life where worry helped in any way whatever. I find that though I had been trained since childhood in the art of worry, it is now nothing but fear about something in the future run amuck effectively using up many present moments. Somehow it was taught as good to worry about things as if we were "paying attention" to them, so as to not ignore them. The milder form of worry is called "concern." It's just more fear and more commonly used, though still unnecessary and counterproductive. Here's what is better. If something doesn't feel right, decide then and there to do what you can and then let it go. This way we at least spring to action as opposed to projecting limitless possibilities of a yet to occur event. Most Of The Things I Worried About Never Happened. Spread Some Joy Today--When you're joyous, you attract more joyous people. Good enough reason to me. . .
people take the words "positive attitude" for granted." If you've never read a Jeffrey Gitomer book, I strongly recommend getting one today and that should automatically lead to two and so on and so on. He has quite a wonderful collection and they are among my favorite books in my library. His books are small in size and large in character. The quote above comes from one of his leading books, The Little Gold Book of YES! Attitude. In Chapter One, page 38, he has a questionnaire that is fun to do and very telling. If fact, you don't have to wait to the end to see how you're doing because it becomes obvious as you go. One of the questions really stood out for me. He asks, "How many hours of positive attitude training did you get. . . in grade school. . . in high school. . . In college. . . at work?" Next to each, Jeffrey has a blank so you can fill in the hours and next to the blank is a circle that says "none." I know from my experience that when it came to personal attitude training in grade school, it amounted to how to fit in or conform to normal behavior, and simple courtesy, but that was about it. In high school, it would be none, in college, none, and at work it would have been none at many places I worked, but when I got into sales, having a positive attitude was in the training, but even then it was minor on the list of sales skills. At the very beginning of the book, Jeffrey says that, "Positive attitude is defined as the way you dedicate yourself to the way you think. The definition for a negative attitude is exactly the same. This book is dedicated to the way you think." for consensus but a molder of consensus." This I know from long experience: Line 10 people up and ask them what should be done, and the variety of answers will be astounding. This phenomenon is what caused the use of committees so that small groups could meet for extended periods to try to agree on what to do, then report to the decision maker their findings. This frustration led to Blue Ribbon Committees because the standard committees weren't getting the job done. Now, of course, there is facebook. Our company is growing very rapidly of late and no matter how large it gets and I am involved, it will never be run on the idea of seeking consensus. I may seek and opinion to help clarify my thinking, but make a decision and move on. I've worked for people who seemed to take forever to make decisions. They wanted to study the issue, analyze the information, test the theories, adjust the assumptions, rationalize the data, whittle the time, create the charts and assign the blame. I would think, 'come on, let's just DO IT!' The response was always that of a seasoned politician. How do you get a committee to make a decision? By giving someone on the committee the power to decide. Procrastination and lack of decision is effectively a decision of inaction. We often do this with personal decisions. Now, of course, there is facebook. Part Of My Power Is That Of Decision. Spread Some Joy Today--by letting go of what others think or say, and being joyous by your own decision. Today was an interesting day. It began with a righteous opportunity to be pissed off, indignant, frustrated and disgusted, and these would have been justified in the life I used to live. Indeed, many people I know would have lost it and blurted out stuff they might have later too late reconsidered. I am proud and pleased to report that I have successfully overcame another of those situations we all periodically face. I remained calm and though I took note of the stimulus from the other, I chose not to react to it, and to respond to it instead. It would have been easy to react, but not very positive in the potential outcome. I prefer the response of today. As it turned out, the lack of reaction on my part (our part, as there were two of us), was perfect and it ended on a much more positive note than it appeared it might. I am practicing my own preaching and it is most enjoyable. The thought always comes before the action; before the habit. Inwardly, although I hardly knew this person at all, I was trying my best to love him and to be loving, caring, and understanding of THEIR perspective on things. In other words compassionate. My recommendation is to practice this as often as you can for that is how I have been winning the battle in my mind of the misguided stimuli that I get from all those unintentional and careless providers. I might also add this quote I recently read that helped me today from Father James Keller: "Three hundred years ago a prisoner condemned to the Tower of London carved on the wall of his cell this sentiment to keep up his spirits during his long imprisonment: 'It is not adversity that kills, but the impatience with which we bear adversity.'" Rejoice In Our Ultimate Power Of Response! Spread Some Joy Today--Give a co-worker a hug instead of a handshake. It will make all the difference. what you want. Desire is the planting of your seed." is ideas mixed with inspiration." Success is a very shiny, brilliant word that a lot of people have trouble grasping. To many it is this illusive goal, and to many more it is something they want but aren't sure they are capable or worthy or whatever. Some think you have to do something a very long time and become an expert at it to be called a success, maybe even a lifetime. The best that I can say about what I now know about the word is that it is something that each of us must define for ourselves. I had a realization this evening at age 62: I am a success. I've always wanted to say that--and mean it, and now I just did. I used to think that success was always in front of me and some of it is, but I've succeeded all my life and never really recognized it as that until now. In fact, I've been a success all my life. I'm not a fan of rules, so I try to break them whenever possible. When it comes to a fancy definition of success, I prefer it to be this simple: To have a desire and to act on it. Pretty simple and it is that easy to be a success. When I was a teenager, I wanted to play the guitar, so I learned how to play the guitar and I've played it off and on all of my life. I wanted to play music and sing on stage and I've done that. I wanted to learn how to play bass guitar and did that. I wanted to play in a band as a musician and I've done that too. I didn't do all these when I was a teenager, but at different times in my life. I wanted to become a writer and became one. I wanted to write a book and I've written two. I wanted to become a teacher and I've been one since 1975 in one way or another. I wanted to become a business manager and have done that most of my life. I wanted to be a songwriter, so I learned how to write them and wrote almost 200. I wanted to record music and I learned how to do that and I owned a recording studio. I wanted to learn how to run sound for music groups and I did that. I wanted to do a songwriting class to teach songwriting and did that. I wanted to own my own business. I've done that several times. I wanted to make a good deal of money and have done that. I wanted to get involved in the Internet and have done that. I wanted to inspire and encourage people and I am still doing that. I wanted a large personal library and I own thousands of books. I wanted to own a bookstore and did that too. I wanted to have an eBay business and did that. I wanted over 10,000 feedback score on eBay and I am at 11,300. I wanted to own lots of guitars and have done that. I wanted to own a musical instrument store and have done that. 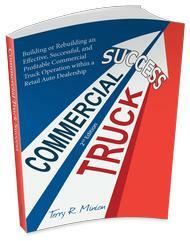 I wanted to get involved in commercial trucks and I do a lot of that. I wanted to be a leader and I am. Well, I could go on! I am really enjoying the idea of being a success, and I suppose the best reason to do this is to share how much of a success each of you who might read this are. If you've had a desire for something--whatever it may be--and have expressed the courage to act on it and do it, you have succeeded in my eyes. And, better that this is the idea that you can succeed over and over and over and over again throughout your life. I know that I am not slowing down at all, and perhaps am more motivated than I've ever been in my entire life. So there is much to look forward to while we enjoy each experience and each success. I am a success. Say it! I am a success! Louder! I AM A SUCCESS! YES! YOU ARE A SUCCESS. MANY TIMES OVER. Spread Some Joy Today--Life is experience. To enjoy and be in joy in your life experience is your own choice and your own legacy. your life to a higher level?" When I first read Tony Robbin's book, Awaken the Giant Within, I made notes and put post-it notes to easily see places that really helped me. The most post-its are in Chapter 9, The Vocabulary of Ultimate Success. It has been so powerful for me that I have come back to these pages so many times to remind myself that I have the power to change and one of those powers is my choice of words that I use with others, or say out of my mouth, on paper and electronically, as well as the choices I make in my self-talk, which is infinitely more important overall. The two quotes above are two of the best questions for us to ask ourselves because sometimes we feel a certain way that can be counterproductive and even make us ill. At the same time, we can feel those joyous feelings of love, enthusiasm, joy, elation and we can have more of that if we choose to change some of the words we have come to habitually use. On pages 226 through 231, Tony has some lists of emotions and action words that are commonly used and what they might be changed to in order to lessen the negative feeling or enhance the positive. All we need do is pick a few and begin changing for the better today. Change I'm feeling anxious to I'm feeling expectant; I'm feeling exhausted to I'm recharging; I'm feeling frustrated to I'm feeling fascinated; I'm angry to I'm disenchanted; from being disgusted to surprised; from overwhelmed to in demand, or overwhelmed to maximized; from sad to sorting my thoughts; from stressed to blessed; from irritated to stimulated; from impatient to anticipating. Change a good word into a great word, like going from being attractive to being gorgeous; from confident to unstoppable; from excited to outrageous; from feeling good to feeling vibrant; from being happy to being jazzed; from loving to passionate; from motivated to compelled; from moving forward to moving at warp speed; from okay to perfect! and from feeling pretty good (a common answer to how are you today?) to coolamundo. When I first began, I didn't really feel the way the new word or phrase indicated; however, and I think you will find the same thing--the more I did that, the more I actually felt that way, even if it was right then. Try changing some of your old, worn-out vocabulary and watch your life change! A Word Is Worth A Thousand Pictures. . . Spread Some Joy Today--Begin today to respond differently to questions. People will begin to see joy walking into the room surrounded by your body. a feeling that nurtures the soul." I've become such a grateful person in the last five years or so and I never stop finding things that I can be grateful for instead of taking them for granted. Trash day at my house is Tuesday morning. I am incredibly grateful for trash being pickup up at my house and they even supply the containers to put it in. What an amazing service. When I get the bill each month that is so stupid cheap for such a wonderful service, I just want to give them a huge tip! What a bargain and what a convenience. Think what it might be like without that service. I flip the light switch and the light lights the room. I turn on the TV and can watch any one of a slew of channels of entertainment, movies and variety. My computer is not only a miracle and I can watch movies on it too, but it has afforded me the luxury of working from home since 1997. My Polk Audio 10 speakers. I bought them in 1983 and they are still as good as then with sub-woofers and all before sub-woofers were even popular. Recorded music. My how I love music and I can play thousands of hours worth any time I want--even some of my own songs recorded long ago. Books. I love books and learning. So many interesting people whom I get to know a little bit about through books along with a vast array of other subjects. I turn the faucet and clean drinkable water comes right out of the spout. I have faucets in several rooms and several outside too. What an amazing thing. I love toast and I love my toaster and it works perfectly every time. My microwave oven is so fast and easy and I can reheat a cup of coffee or cook a whole meal if I want. What an amazing device right there in the kitchen. They were only invented about 45 years ago. Speaking of the kitchen. I open that refrigerator door many times during the day and my food is kept safe and long by the refrigeration. What an invention and it was only invented in the last century. Flat screen monitors for computers and television. Remember those big old boxes? Concrete. I don't have a dirt driveway or walkways, but made of concrete. Street lights. Trash cans. Cardboard boxes. Kleenex. Paper towels. Toilet paper. I should stop for now, but you can see what a long list it is already and I've only just begun. Gratitude is a practice and there is no better place to practice than the commonplace things that we have come to know so well that we no longer think about them unless they are broken. With that practice, who knows what you could be grateful for! Get Your List Going And You'll See What I Mean. Spread Some Joy Today--Once you begin with gratitude, you may find that you can choose to be grateful for things that used to drive you crazy. That's a life-changing thing. that is the opposite of that." Let this be a commercial and a statement. I love these guys at 37 Signals.com. They are brilliant and they like to keep things simple. That's why I'm a raving fan and customer of their services. I remember the very first computers to arrive at the business I worked at back in the late 1970's. So I've been around for the whole evolution of computers and software to make use of them. And, it seemed that every year the software programs got more and more features, became slower and slower to load and I ended up only using a small fraction of the available features. They seemed to think that bigger and more complicated was better, but I found it to be frustrating and counterproductive. One example is a customer relation database I've been around for a long time called ACT. Every year there is they upgrade that is costly and makes it run slower and has more features that I will never use. I dumped it long ago for the reason that you had to take a college course just to make good use of it--or at least, that's the way I felt. Then a few years ago we stumbled across 37 Signals.com and have now been happy customers for many years. They have a monthly service at a low cost instead of buying the software and it is all "in the cloud." As good as this all is for me, I love the book they published even more and have given away several copies of it. It is called REWORK. It flows with their same philosophy of keeping things simple and they relate that to growing and running a business. Each chapter is barely 1-2 pages long, but concise and full of wisdom. I highly recommend it for any business owner at any level, any manager at any level and it has something for pretty much anyone. Hooray for a bright spot in this ever more complicated world. Keeping it simple is right up my alley! Keep It Simple So It Gets Used! Spread Some Joy Today--the simplicity of a thank you note is ever powerful. I like history and yet I realize now that it has such a limited value. It is mostly unimportant. What is important is NOW. Looking backward takes us off the mark of living today. It sounds trite, but it is a very important realization. People say, learn from your mistakes--study history. Or they say, if you don't pay attention to history, you're bound to repeat it. I say that the more you study history, the more you repeat it. What is really, really important is what I am doing today. What I am thinking today. What I want today. Where I am heading today. What decisions I make today. I have accumulated knowledge. I have my inner infinite wisdom. What in the world do I need in the past? What value would it be? I think that hanging on to that is just slowing us down today. Who cares if your parents abused you? Who cares if you had a dysfunctional childhood? Who cares if you were put back a grade? Who cares what mistakes you made? Who cares about all that stuff that is in the rearview mirror? Keep driving that way and a crash is imminent. I recommend just letting go of whatever is back there and let it be there. Thinking about it brings it here. Having it here is counterproductive. Live now. Love now. Be here, and focus on what you can do now, who you can love now and how you can live now. Whatever You Did Or Didn't Do In The Past Is Gone As Long As You Are Willing To Let It Go. Spread Some Joy Today--Find ten things to appreciate today and write them down in your new appreciation journal. "To see things in seed, that is genius." People talk about how great it would have been to have been a part of a successful startup business that made it big and they often mention companies like Google, Amazon, Zappos and such. But, I doubt that they would have recognized the seed of that plant. People talk of investing in those kind of companies before they went public and riding that wave of growth that creates instant millionaires. But, they choose surer things that they are familiar with and are not willing to risk because they don't even recognize that company in the seed. Anyone can see things when they are grown, but seeing them in the seed takes a different kind of vision. Risk is also an interesting thing. I like how Andre Gide says, "One does not discover new lands without consenting to lose sight of the short for a very long time." And John A Shedd follows that with, "A ship in harbor is safe--but that's not what ships are for." I have studied a lot of business leaders and founders and every single one of them risked greatly. Frederick B Wilcox says it well when he said, "progress always involves risks. You can't steal second base and keep your foot on first." Of course, on the other hand, if you can see something in seed and recognize it as good, it really isn't so much of a risk as an investment, is it? Spread Some Joy Today--You are far smarter than you give yourself credit for. Trust your inner voice--not the ego, but your inner voice. It will always guide you. "Life is the movie you see through your own eyes. It makes little difference what's happening out there. It's how you take it that counts." Thinking of what we see through our eyes as a movie is a pretty interesting way to consider. He says, "Hey, Mabel, did you see that over there?" She says, "Didn't see a thing. What are you talkin' about?" Ever read an accident report of several eyewitnesses telling radically different stories? The other night I watched a documentary about the 1906 Earthquake that devastated San Francisco. Someone living in one section of the city felt a slight rumbling and in other parts of the city, 500 blocks were leveled from the shaking and resulting fires. It is one event that is seen in many different ways--through the eyes of that person. You could say that it was not one event, but thousands of events, each watched, viewed, lived by each individual. No one experience was identical I'm sure. Indeed, even some 50 miles away to the north, cities such as Santa Rosa were even more devastated by the same quake they call the San Francisco 1906 Earthquake. So, it isn't the event. It isn't what happens. It is our own perspective of an event or happening and how we think about it, feel about it, react and respond to it that counts. Our views of life are our own. Make It A Movie You WANT To See! Spread Some Joy Today--Today is Be Kind To Strangers Day. Let's see some participation! and lessens the threat of their difference." Another way to say this wonderful quote from Audre Lorde is to say that "love forms a bridge between the sharers which can be the basis for understanding much of what is not shared between them, and lessens the threat of their difference." I say that because to me, love and joy are one in the same. When I am loving, I am naturally joyous. When I am joyous, I am openly loving. When I am in joy, I am in love, as when I am in love, I am in joy. Consequently, as I desire to be more loving, being more joyous creates more love, and equally, as I desire to be more joyous or to have more joy in my life, I need only find something or someone to appreciate, or to love. And, what is even more interesting that I find about joy and love is that they are obtained not by reaching out, but by letting go. It is in my relaxing and allowing that these expressions are available. It is in my choosing to let go of my ego that my heart is opened to joy and love. Makes me think of that old Joy commercial: "relax, you're soaking in it." Joy And Love. Seems Perfect For A Valentine's Day. Spread Some Joy Today--There is no way to love. Love is the way. approval until I no longer crave it, and then I'm gonna rip it off." I love Ellen DeGeneres, thinking her to be wild, kooky and funny. I love how she put this about looking for approval from others. It is a precarious place to be and in that position, it is disempowering and creates much disappointment. So, she makes fun of it and that is a good thing. I have another quote by another favorite person of mine, Andrew Carnegie, the steel magnate. He said, "Do not look for approval except for the consciousness of doing your best." These two quotes together are so good and where one acknowledges the approval seeking supplement and the need to get off that drug, the other acknowledges the best way to not need it and to keep moving forward by doing simply your best. Just Do Your Best And Let The Rest Ride On By. Spread Some Joy Today--Smile that smile of knowing you are doing your best. It really is joy, isn't it? Of course, the shortcut is just to smile regardless. Joy follows closely. it is in them that your strength lies." A few years ago, I heard an idea called the "pre-paving of intentions." It was presented by Esther & Jerry Hicks on a CD I was listening to and one way I use it is to have more faith. I do it in a small practical way and that leads having confidence to do it in larger ways. Here it is how I use it: I get in my vehicle to go somewhere, and I state to myself that my intention is to have safe, timely and enjoyable travel to and from all destinations today. Then I immediately let go and relax. Now normally, if I am going to an appointment or traveling a distance where traffic can be an issue and such, my body tenses up and it used to happen so regularly that I barely even noticed it. The only way I used to notice it was by my getting upset that someone is going too slow or other perceived obstacles to my getting where I want to go on time. Then I would always be watching the mirror and the side entrances for the speeding police because I was often pushing the limit to make sure I get there on time. With this pre-paving statement and then relaxing, I find this intention always coming true. Let me repeat that: I find this intention ALWAYS coming true. Now, my ego doesn't always believe it like my trusting inner self, but if I feel myself getting the slightest bit tense at any time during the trip, I just remind myself of the intention and then relax again. The key is really the relaxing part. Another way to say that is being faithful, or having faith that what I intend is true. I now use this more and more because I see that it works and I see the way it works and why it works. Try it yourself. I no longer worry about being on time and even when it would appear that I wouldn't get there on time at the beginning of the trip, find myself arriving with time to spare. I no longer worry about the speeding police, I just drive and relax and enjoy the journey. Practical Daily Activities Of Intention and TRUST! Spread Some Joy Today--Let go of your need to "control" everything. You have always had the power to control yourself. Do that instead. "What difference does it make how much you have? What you do not have amounts to much more." I never saw this quote until tonight and it is a beauty! What a wonderful thing to ponder. . . Even those with "all the money" have a pittance in comparison with what they do not have. Even those will "all the property" have a pittance in comparison with what property they do not have. And, on it goes. Of course, we see those who have more than us, especially those on the television, and maybe it is substantially more, yet whatever they have is a pittance in comparison with what they do not have. Kind Of Puts Things In Perspective. . . Spread Some Joy Today--Rejoice in what you have! It really doesn't matter so much what you don't have because that would be about as much as the richest person ever. How fun. "The new broom sweeps the cleanest." The first car dealer I worked for beginning in September 1972 was Arthur H Kenny and when I became sales manager in January 1975, he first shared the above sentiment with me. I was the new broom. He was a delightful Irish gentleman, and always had a smile and a laugh and seemed to know what he wanted and got what he wanted. Though I essentially worked for the General Manager and he was the owner, I'll never forget him coming to the first sales meeting when I was the new manager and him speaking to the organization about his confidence in me in the position. It was the only time I recall him ever coming to a staff sales meeting. He was so proud of his son who rose to the level of Bishop in the Catholic Church and he relished going to the installation ceremony at the Vatican. He was a smart and wise businessman who had many investments, mostly in property, many with influential partners. Many of these had substantial returns and he did well. He was a leader and a good speaker. Before becoming a Chevrolet auto dealer with a partner in Vallejo, CA, he was a zone manager for Chevrolet Motor Division. He grew up in Calistoga CA and his family owned a hotel there for many years. I can remember that often he had his door open and he would be working or on the phone with someone, as he was at the dealership often and regular. He found a General Manager who he could trust and let him run the store for the most part, but one always knew that Art was the man in charge. One time we had a huge contest to sell 50 Chevy LUV trucks in a specified period and I had ordered enough to try to get that done and it was considerably more than we would have normally stocked. One day three truck loads came all at once and were unloading all those little LUV trucks. I was watching and Art came out to get in his car and said to me, "I sure hope you know what you're doing!" Of course I did, and I also believe that from him that was a statement of encouragement because he said it with a smile. We sold 48 because we couldn't get two more from anywhere, otherwise we would have hit the number. I loved him, though I wouldn't have said it that way back then, and I love the memory of him today. I've used that phrase that Art used above, but never liked it much. I've seen a lot of people abuse the idea of it. I think he got the phrase from an old Irish saying, "A new broom sweeps clean, but the old broom knows the corners." I like that one so much better. Loving You, Art! Thanks For The Memories! Spread Some Joy Today--Remember someone today that gives you some joy. It doesn't really matter if they are dead or alive. They are always alive in your mind. "You have to sow before you can reap. You have to give before you can get." Many people are enamored with the idea of being an entrepreneur. They like the idea of it especially as it might be compared to an explorer, a scout, an adventurer. They might even spend time studying some of the more famous of those that are called entrepreneurs. It's exciting to think about. Probably most of those people would be shocked to know that those famous entrepreneurs and all those who never became famous have one thing in common. It is that they understood the idea of giving before receiving, or sowing before reaping. That's the part that isn't so glamorous and there are so many things that the entrepreneur will do that many would consider a stupid amount of work for very little or even zero pay--indeed, sometimes even paying out of pocket for the privilege of getting to work toward their dreams. It is interesting to see clearly those who do not understand because they say things like, 'how much will I be getting?' and such. They are looking for the getting before the giving and the reaping before considering sowing. Sometimes a better question to ask people who express interest in a thing is this that I borrowed from Wayne Dyer recently: "What are you not willing to do to have this that you want?" That answer is telling. For Entrepreneurs, Giving May Seem Disproportionate From Receiving, But It Is Only An Illusion. Spread Some Joy Today--Give your love out today with no concern whatsoever as to what you may or may not get in return. You will find the giving is actually far superior to receiving. "There is no limit to the power of loving." We all have so much more power than we think we do. Each and every one of us has the power to erase the idea and practice of war and any list of harm to other human beings. We are not powerless, but powerful. There is not now nor has ever been a dictator or evil leader who had the power on their own to cause war or any large scale harm. It requires a team, and usually a very, very large team. The power is always within each individual of choice to love or not to love; to be loving or not to be loving. And, as we understand this infinite power we have available, there is virtually nothing that could compare. Think about who makes the bombs, bullets, ships and planes. It isn't the army, navy or marines. Now, bring this bold idea down to the much smaller world of our working lives. What do we do to earn money? Do we do things that we would not normally choose to do in order to make a dollar? Do we allow our bosses, our supervisors to guide us in ways that doesn't match our own values for the sake of keeping our jobs? We each have a choice each and every day how we will respond to calls made upon us, and it is this choice that determines war and peace. We also have the power of those choices moment to moment. There is no limit to the power of loving as long as we choose it, nor a limit to how often we can choose it over another idea that may nor serve us. There Is Love. . . And The Absence Of Love. Spread Some Joy Today--Choose love. There are infinite ways and means available. The other day I was thinking how people think about mistakes. Many think they are bad, a very few think they are good. I think they don't exist. I don't make mistakes. I make decisions. In this I endeavor to make choices of thought and/or action; however, even in my procrastination of decision, a decision is yet made and a result is yet earned. I cannot avoid it, and only potentially prolong it--maybe. Nonetheless, the outcome is the outcome and if I go around measuring each decision and/or result as to the rightness or leftness, I am not served. A better question to ask is 'what did I learn from this?' To answer this question matters not whether is is good or bad or indifferent. Instead, I made a decision, I earned a result and what did I learn from that? Perhaps I will make a change of decision next time--or at least, we might like to think so. Another tool is to remember that everything is temporary. When I was much younger, I thought that there were many things that were permanent. Greater wisdom teaches us otherwise, and it is helpful to remember. So, I recommend to let go of judgement of right and wrong, mistake or success, and think instead of stimulus and response. We learn more in this way. Next Time You See Someone Counting Their Mistakes, Ask Them, "How's That Working For Ya?" Spread Some Joy Today--Trust your emotions. If it feel good, it is. If it doesn't feel good, it isn't. Sure helps making decisions then, doesn't it? Some years ago, I started doing something strange. I started telling people I loved them. It isn't strange for me to say 'I love you' to my wife, my parents, my brothers and sisters, children and relatives, but it is strange to tell your clients, especially man to man, or people you barely know and so on. I say strange because I never see or hear it done in this context and it is a damn shame. Think about this quote by Anatole France for a few minutes: "You learn to speak by speaking, to study by studying, to run by running, to work by working; in just the same way, you learn to love by loving." In other words, practice makes perfect! In addition, practice is worthy of such a feeling as love. As to why, I like what W. H. Murray says so simply and yet profoundly: "The more the soul knows, the more she loves, and loving much, she tastes much." Back in 1996, I read the Bible and was at that time enamored by the sheer magnitude and depth of the love of Jesus. I took that love quite literally and began to love everyone more, paying special attention to those that were harder to love. You know the type--the overbearing, micro-managing boss; the persistent bill collector; the rude person, and such. They were a challenge, but I practiced and slowly opened my heart to them regardless of their attitude toward me. It was often miraculous in how in a very short time, these people not only changed for the better, but became much more lovable. I continued to practice it and began telling many of my clients that I loved them. I could sense that they were uncomfortable in that conversation but I also know it is because they are not used to hearing it in this context. I have persisted all this time and I put it in writing to many of them and periodically tell them, and most certainly show it to them in my warmth and interest in them and my praise of them. And guess what? They somehow become more loving too. Every once in a while they say it back to me, though that is not the point. The point is that I love them because that is how I feel and want to express it, and as W. H. Murray says. "the more the soul knows, the more she loves, and loving much, she tastes much." I Taste Much. . . And It IS GOOD! Spread Some Joy Today--Love your fellow person regardless of their relationship or position in relation to you. You'll be glad you did. "The wicked leader is he who the people despise. This is an interesting quote to contemplate. Another way to look at it is that the wicked leader is discomfort, the good leader is comfort, and the great leader is empowerment. It is easy to see the wicked leader as one to avoid. It is easy to see the good leader as a friend, caring, and often we might miss the real value of the great leader as one who empowers, encourages our own inner drive and enthusiastic spirit to come out as if we alone were in charge. Often, we may not recognize the opportunity we all have, and thereby potentially create a great leader by default. Everything Is A Choice. Staying. Going. Becoming. Spread Some Joy Today--Love somebody. Tell them so. doesn't mean anything has changed." Sometimes I see a quote and immediately fall in love with it and the depth and wisdom of it, and especially the succinctness of it. This quote by Irene Peter is one such quote. It immediately brings to mind politics, which is something I avoid talking about from pretty much any angle as it is a dangerous mine field at best. Having finally succumbed to watching the documentary, An Inside Job, the other night, this quote by Irene takes on a whole new dimension. If you've seen it, you can relate I'm sure. I see it in other arena's too. The car business where I spent 25 years of my life at dealerships, this quote is quite literal there, and from my vantage point of the outside looking in, it is even a better view than ever before. So, I think that it is so easy to see everyone else and their changes that don't change, and now I have to look at my own. Well. . . I don't really have to, except to admit that I have stones and a glass house. . .
. . . And Politics Without Going To Washington. . . Spread Some Joy Today--By laughing all you can. There is nothing that releases the tension, relaxes the spirit as much as laughter.